A female lawmaker in Imo State, is allegedly having a running battle with the wife of his “lover boy”, (name withheld) an ex-commissioner in the state, who is presently an S.A. to the governor and deeply involved in the demolition of markets and other structures in the state. The randy ex-commissioner, whose activities in the ill conceived and conscienceless urban renewal programme has unleashed hunger, hardship, frustration and unmitigated anguish on Imolites, especially victims of the wanton and unwarranted demolition exercises in the state, is allegedly engaged in an amorous relationship with a female lawmaker who is said to be equally married. According to our source, the lawmaker was almost lynched by the wife of the S.A and others who are not comfortable with her conduct, when she brazenly attended the ex-commissioner’s birthday bash sometime in 2015. “It took the intervention of some personal aides of the ex-commissioner to free the lawmaker and avert imminent danger that would have arisen from such physical combat and show of shame. It was also gathered that the ex-commissioner also bought a jeep from the traditional ruler of his community, which he presented as a gift to the lawmaker in question. “Surprisingly, he has not paid the traditional ruler for the jeep, he allegedly bought for his concubine, on hire purchase, till date”. The revered traditional ruler is now, said to be threatening to take the randy S.A. to court for most of his excesses that have often caused problems in the society and to also recover his jeep, which the ex-commissioner has allegedly refused to pay for, despite all entreaties. The latest development on the issue is that the ex-commissioner’s wife went to the traditional ruler of the community where the female lawmaker’s husband hails from, imploring him to warn his subject’s wife to stay away from her husband or face the consequences. According to our source, the ex-commissioner’s wife is fuming and complaining that things have been very rough for them at home, because her randy husband has virtually abandoned his family for the charming and delectable lawmaker, whom he now lavishes attention on. 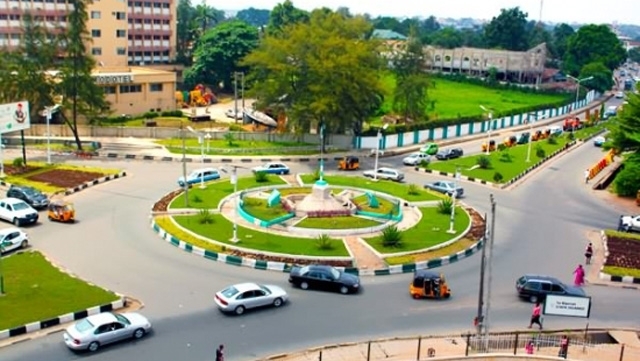 It is also alleged that the lawmaker who was allegedly seen with the ex-commissioner in a popular hotel in Owerri recently, was allocated several shops in vantage positions, by the S.A, in most of the shopping malls being built in the state, to the detriment of genuine traders whom the shop should be allocated to. When contacted, one of the prominent leaders of the community where the lawmaker’s husband hails from, said he did not receive any complaint from any such aggrieved woman. He also posited, that according to their tradition, any married woman that engages in such conduct becomes mad, because she will incur the wrath of the gods. Continuing, the traditional ruler vouched for the female lawmaker, whom he said, “is from all indications, a disciplined, responsible and virtuous woman”. Effort to reach the lawmaker for her comment proved abortive, meanwhile, the randy ex-commissioner who was also a Mayor of the zone is said to have been ignoring all efforts by his kinsmen to resolve the issue at stake.